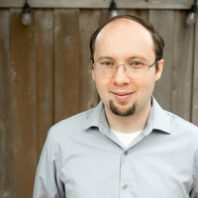 Brett Bell (2015), received his PhD in History from Washington State University. His historical interests include early American history, antebellum southern history, military history, and the history of slavery. His research interests primarily center on the United States from 1835-1850, with a central focus on southern opposition during the Mexican War. He teaches a variety of history courses, including classes on early American history and the Roots of Contemporary Issues. Yvonne received a PhD in History from the Universidad de Chile in Santiago, Chile in 2006 and an M.A. in History of the Americas there in 1999. She also holds an M.Ed. from Virginia Tech and a B.A. in Political Science from Bryn Mawr College. She has taught at the Universidad de los Andes in Chile and began teaching at WSU in the Spring of 2009. Her areas of expertise include Latin American History, World History and a special interest in Latin American Women’s History. 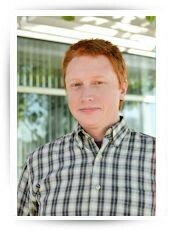 Roger is a full-time instructor in the Roots of Contemporary Issues (RCI) program. Roger’s teaching and research interests are centered on late Imperial China, modern China, modern Japan, and Western legal history. In addition to courses in Asian studies, Chan teaches world civilizations in the General Education Program. Julian earned his Ph.D in history from the University of New Mexico in 2015. He earned his MA in history from The University of North Carolina, Charlotte and he holds a BA in history from North Carolina A&T State University. He is a Postdoctoral Teaching Fellow in the Roots of Contemporary Issues (RCI) program. Julian’s teaching and research interests include nineteenth and twentieth-century Mexican history, specifically the period of the Mexican revolution, 1910-1940. Other interests include the history of the U.S.-Mexico border, U.S.-Mexico diplomatic relations, environmental history, transnational history, the history of the Mexican Catholic church, gender and cultural history. 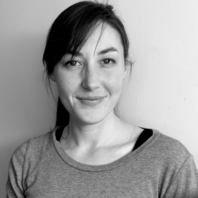 Dr. Ellis is a post-doctoral fellow in the Roots of Contemporary Issues program at Washington State University. She graduated in May 2016 from the University of New Mexico with a doctorate in Latin American History specializing in the histories of gender, labor, and disability in Argentina. Her dissertation, “‘Basically Intelligent:’ The Blind, Intelligence, and Gender in Argentina, 1880-1939,” is one of the first historical analyses of disability in Latin America. It examines the ways that blind leaders and sighted advocates for the blind attempted to differentiate the blind as “safe” in an era of eugenic claims about the dangers of inherited disability. She argues that the contested meanings of blindness created avenues for blind leaders to take control over institutions for the blind and redirect services for the blind around their own goals. 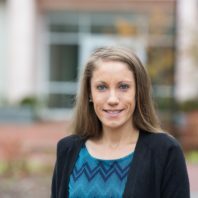 Dr. Ellis conducted research for her dissertation with the aid of a Fulbright International Research Fellowship, the Russell J. and Dorothy S. Bilinski Dissertation Fellowship and the Latin American and Iberian Institute Dissertation Fellowship. Aspects of her dissertation research will be published in the forthcoming volume Disability and Masculinity from Oxford University Press. 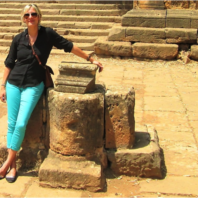 Dr. Herzog received her PhD in World History in July 2013 from Washington State University. She earned an M.A. in Interdisciplinary Studies with an emphasis on History, Women’s Studies, and Political Science from California State University, Fresno, where she also completed a B.A. in German Language and Criminology. Dr. Herzog spent several years as a Victim’s Advocate in a county prosecutor’s office providing services to victims of domestic and sexual violence. Dr. Herzog’s primary research and teaching fields are imperialism, gender, modern Britain/ British Empire, and slavery in the Indian Ocean World. Her work focuses on the Indian Ocean World and slave trading networks, Abolitionism, as well as modern ideas of gender and sexuality. Michelle Mann’s work explores the impact of French settler colonialism on European-Muslim relations in the Western Mediterranean in the 19th and 20th centuries. Her upcoming book manuscript examines the relationship between the French cultural policy of ‘assimilation’ in colonial Algeria and the escalation of Muslim contentious politics in the late nineteenth and early twentieth centuries, and demonstrates that Algerian reformists played a key role in early efforts to promote equality and multicultural understanding between Muslims and non-Muslims in France. Her next project will look at the history and culture of work among North African women, focusing both on the evolving structural conditions of their labor and the role of female work in the maintenance and production of postcolonial cultural identity. 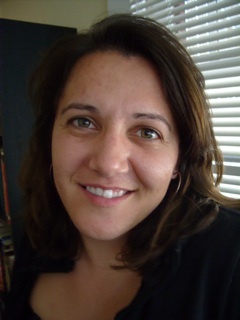 In addition to her historical research, Michelle is an experienced humanities educator with a focus on the development of innovative pedagogies that bring history together with core writing skills programs, in order to provide transformative humanities education to students of all majors and backgrounds. To schedule an appointment with Dr. Mann, please click here. 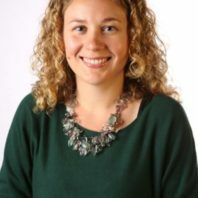 Dr. Brenna Miller received her PhD from Ohio State University in 2018. She looks forward to teaching in her fields, which include Modern Europe, Empires and Nations in Eastern Europe, 1500–present, and Global History II. Ben Nobbs-Thiessen graduated from Emory University in 2016 upon the completion of his dissertation, Cultivating the State: Migrants, Citizenship, and the Transformation of the Bolivian Lowlands, 1952–2000. 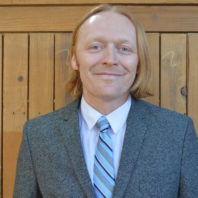 Ben has taught the following subjects: Transborder Theory, Transnational Americas, and Migration in Latin American; and acted as a TA for courses focusing on Nazi Germany, History of Quebec, and World History. Dr. Schaefer received a Ph.D. in History from Emory University in 2015. She earned a M.A. in Latin American Studies from the University of Chicago in 2008 and a BA in History and Comparative Literature from Brown University in 2007. A Tinker Field Research Grant at the University of Chicago, a James R. Scobie Award from the Conference on Latin American History, and grants from Emory University supported her graduate research. During the 2015–2016 academic year, she served as Interim Director of the Emory Writing Center and Visiting Assistant Professor of History at Emory University, where she taught classes in World, Atlantic World, and Latin American History. Prior to joining the Roots of Contemporary Issues Program, Dr. Schaefer was a Weiser Center for Emerging Democracies Postdoctoral Fellow at the University of Michigan. Dr. Smelyansky earned his Ph.D. in history from the University of California, Irvine in 2015, and his undergraduate degree and MA in history from San Francisco State University. He is a Postdoctoral Teaching Fellow in the Roots of Contemporary Issues (RCI) Global History Program at Washington State University. His research interests focus on the history of religious persecution in medieval Central Europe and history of urban culture, society, and environment. Another of Dr. Smelyansky’s academic passions is the study of the survival and popularity of medieval themes in popular culture from books and movies to video games. Dr. Turner-Rahman received her Ph.D. from Washington State University. Her teaching and research are interdisciplinary in nature and include the history of Islam, orthodoxy and Qur’anic interpretation, feminist Islamic exegesis, Transnational Islam and Bollywood. Dr. Walsh completed her Ph.D. and M.A. in Latin American history at the University of Maryland, College Park in 2013 and 2009, respectively. She holds a bachelor’s degree in Latin American history from Boston College. Prior to being named Postdoctoral Teaching Fellow in the Roots of Contemporary Issues Program at Washington State University, Walsh held postdoctoral research fellowships at the University of Sydney and the Universidade de Lisboa. Her book manuscript, The Religion of Life: Eugenics, Race, and Catholicism in Chile, examines the interactions between Catholicism and race science in early twentieth century Chile. Our goal as professional historians is not to collect fact and figures about past events and individuals but rather craft narratives explaining historical change based on reliable evidence. As a researcher I hope to contribute to the story of the development of modern educational systems by emphasizing methodological and organizational techniques that were diffused, adapted, and implemented across the globe. As a teacher of history my goal is to aid students to understand that the shape of the world they live in is highly contingent on numerous historical processes that were neither inevitable or permanent. By stressing the interpretive nature of history, I aim to build critical thinking skills in my students so that they may better evaluate the soundness of the messages they encounter in the wider world.